ecovatios was created by and for that. Because understanding your consumption, you will be able to save 10-15%, and that means less of your budget dedicated to energy and less emissions. 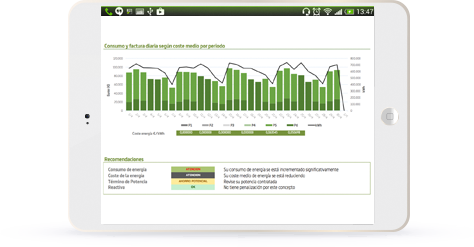 ecovatios proposes to monitor (measure), to know your electric consumption, understand and reduce it. Because what is not known, cannot be managed. 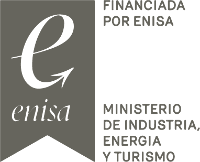 If you are a company or a public institution with an obligation to refer to energy consumption (either by ISO 5001 or by an RSC agenda), measuring and understanding your consumption will help you in your goal of reducing it. And if you combine it with the 100% green power that provides ecovatios, you will have an additional part of the path half done! We propose you to use the available technology. It is reliable, accessible and easy to use. All the data of our consumption would be available in the cloud or in any device with internet connection. There you can check the key factors to save money. And in a comfortable way, because we are going to send you periodic reports with the most relevant information; that will allow you to make saving decisions in a simple way. And without needing you to graduate in Aeronautical Engineering!